Our all-terrain driving course will provide delegates with the necessary knowledge, skills and abilities to be able to drive safely on and off road by giving them the self-belief to safely pilot a vehicle over a wide range of terrain and obstacles. Through a series of training modules and practical exercises, drivers will learn how to mitigate the risks to safety and security whilst maintaining control of a vehicle through challenging and hazardous situations. 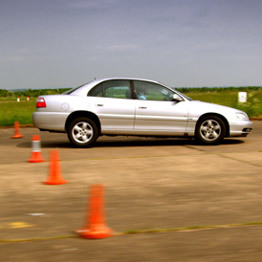 Our team of highly experienced instructors are all former UK Special Forces personnel who have recognised civilian teaching and approved driving instruction (ADI) qualifications. The course is conducted over a two day period at our training facilities in Herefordshire and Worcestershire. The track is based at an old airfield which offers a 2.5 mile driving track and vehicle crash area. The off road area consists of hilly, wooded terrain criss-crossed with tracks, paths and natural obstacles such as water holes and steep ground.